Kelly's Ace Hardware is the place for paint! You've probably heard the old cliché that if you want something done right, do it yourself. 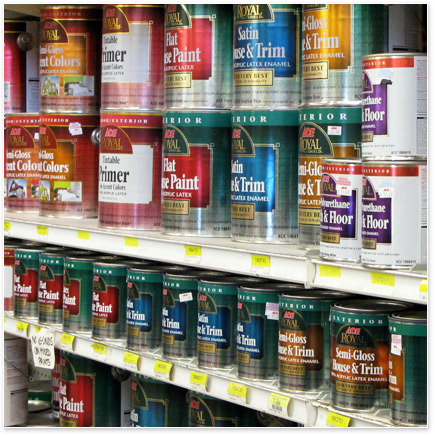 Over 25 years ago, Ace Hardware began to manufacture its own paint to guarantee our customers the highest quality products at the best price. We're certain your experience with Ace Paint will be excellent whether it's the first time you use Ace Paint or the 100th. • Over 9 million gallons of paint are produced each year which ranks Ace Paint among the top 10 paint manufacturers in the U.S. When you have a need to color-match paint for your home, visit our store and our paint specialists can help you match your colors with our state-of-the-art color match computer.